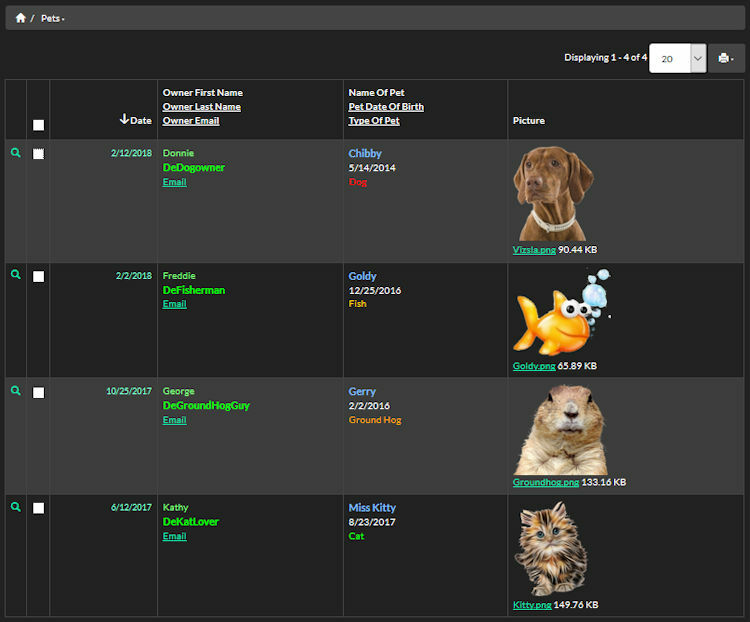 The Custom Pets Application is a basic online application that collects information about a site visitor’s favorite pet. This is an example of an app that you won’t find on a search engine. If you want to collect information online and can’t find a software package that does 100% of the tasks you need, call Affordable Webcrafters.